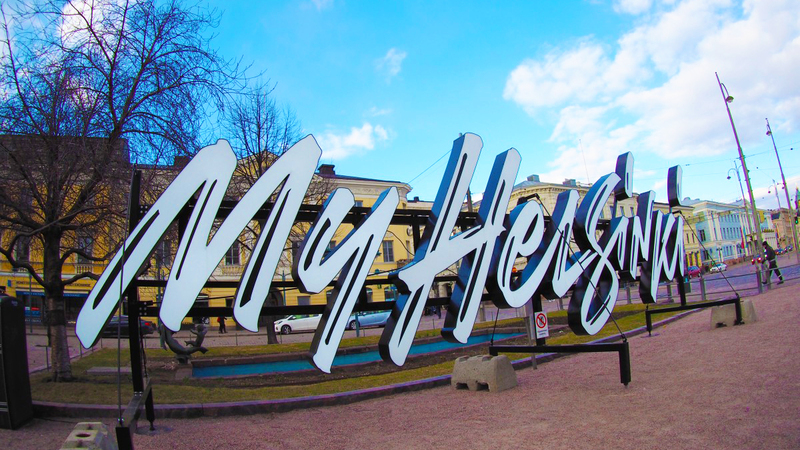 So, over the long Easter weekend we went to Helsinki and Tallinn. I’ve been to Helsinki before some eight years ago and not much has changed. The scaffolding around the clock tower on Helsinki Cathedral has since been removed and the telephone box on one of the side roads leading to the cathedral seems to have disappeared which is a shame. We were only in Helsinki for a day and spent much of it mooching around town and had lunch on a boat. I wanted to visit the Finnish Museum of Natural History as I had missed out on it it last time but alas, with it being Good Friday, it was shut, as was the Photography Museum which was also on my to do list. It seems that Good Friday isn’t good if you actually want to go into museums and things in Helsinki. The following day we took the ferry to Tallinn which was unexpectedly massive. It was pretty well stocked with a number of shopping and eating options. Plenty to keep you entertained across the two hour trip across the Gulf of Finland, it even had wifi. Now, I’ve been to a number of Old Towns across Europe in my time, including the ones in the other Baltic capitals, and I reckon Tallinn tops them all. It’s very photogenic, it doesn’t have those immense crowds that you get in some Old Towns, like Prague for example, and most of the museums are within walking distance of each other. Our hotel was in the Old Town itself, a street over from the town square and come evening when the day trippers are gone, it almost feels like you have the whole place to yourself. I made the most of it and did a fair bit of night photography while I was there. As you’re further north at this time of year, the days are longer as is twilight, giving you plenty of opportunities to get those shots of tastefully lit old buildings against a blue backdrop which I think makes for nicer night shots than against pitch black skies. While we were there, we visited Seaplane Harbour, Fat Margret and the Photography Museum, all of which were pretty good. At the Seaplane Harbour, which is outside of the Old Town, you get to explore the inside of a submarine! It was like a cross between the National Maritime Museum in Greenwich and the Science Museum in London. Fat Margret is the maritime museum with all the usual nautical things and it has the added bonus of a roof terrace where you can get a birds eye view of the Old Town. The Photography Museum is pretty small and is set in a former jail. I loved the room full of vintage film cameras, including some really neat large format ones and I learnt that Minox cameras were originally conceived in Tallinn. I also spotted an early version of the Voigtlander Vito B which I also have. I guess if my consultancy career tanks, I could always open up a camera museum. No trip report would be complete without a review on the food and neither city disappointed. We had steak aboard the Kathrina boat which was very tasty, if a little on the small size and if you like hearty, meaty fare, Tallinn has it nailed. At Kuldse Notsu Korts (The Golden Piglet Inn) we ordered a meat feast for two and I struggled to finish my half. The roasted pork hock that appeared was immense and the crackling sublime. The meat was so tender too that it just fell off the bone. That’s how roast pork should be done. We were only away for five days but I feel like we’ve been away for longer which is always a good feeling. If you’re in need of a destination idea, I do recommend Helsinki and Tallinn.